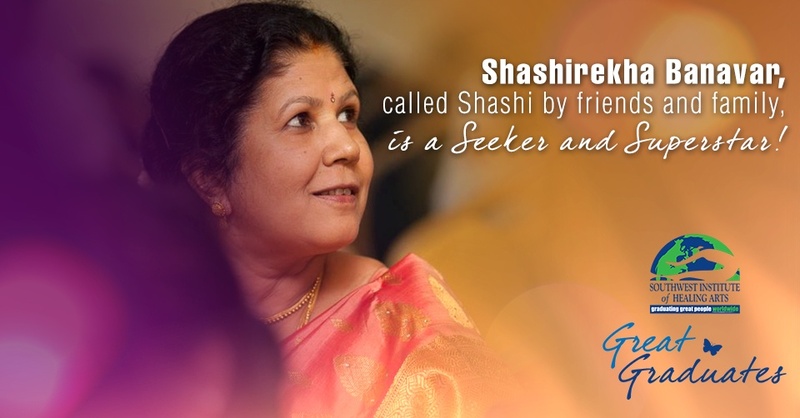 Shashirekha Banavar: Seeker, Toe Reader, and Holistic Nutrition Superstar! SWIHA graduate Shashirekha Banavar, affectionately called “Shashi” by friends and family, is described by those who know and love her as sophisticated, sassy, shy at first, sensitive, and super committed to whole food cuisine. Shashi lives in India, where for the past 30 years she has served as a lawyer and a consumer activist, written a book entitled Shashi’s Recipes – Authentic South Indian Vegetarian Dishes, and received the President’s Guide Award for top performing Girl Guides (similar to the Girl Scouts in the United States) from the President of India. Shashi is a superstar by many standards, although she will blush hearing it said! As one of the first students to graduate from the online 750-hour Holistic Nutrition Wellness Practitioner diplomas, Shashi actually flew to Tempe, Arizona, to attend the September 2017 Gifts and Graces event, where she was recognized as being a one of SWIHA’s Great Graduates! She easily gets the award for traveling the furthest to attend graduation on campus!